Try The Ringing World for free! 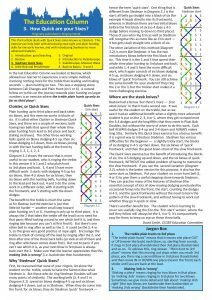 The May 12th issue of The Ringing World contains extensive material on matters of current importance to ringers: the proposed reforms of the Central Council, the long-running York Minster saga and a recruitment initiative in schools, all covered in a depth which other media find hard to manage. There is much more besides. 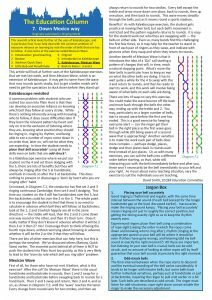 We’ve been working to improve the content of The Ringing World, so if you haven’t read a copy recently, take a look at this issue which we are making available free online. We think you’ll be pleasantly surprised. Join the discussions. Be informed. Be entertained! Subscribe to The Ringing World today. 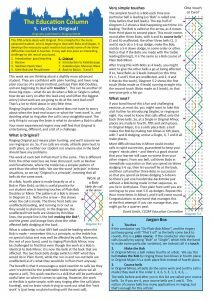 In agreement with The Ringing World the series of 8 articles titled ‘The Education Column’ by David Smith, published during 2016, have now been added to the Education area of the website. Links are also below. 2. What is Bastow? Why is it useful? 3. How Quick are your Sixes? I am disposing of Ringing Worlds for the years 1972-1974, 1978-2000 and 2010-2014. The years to 2000 are in DIY binders and those from 2010 are in IKEA FLYT boxes, and will be available for collection from Winchester. Please contact me if you are interested in all or any of these years. Preference will be given to requests that enable the most years to go to new homes. The Central Council Review Action Group has been steadily working on an iterative series of papers and consultations ever since it was formed back in May. They seem to have reached a key moment with the latest paper (an overview of feedback received to date, then some concrete proposals for reform) and a 10-minute survey for individuals to fill in. As from September 5th Ryde bells will fall silent for essential maintenance work on 7 of the wheels and the clapper to the 6th. The last practice for the time being will be Tuesday 30th August. I will post a progress report to keep all you ringing fanatics up to speed and will post when ringing is due to re-commence. The Birmingham School of Ringers, here on the Isle of Wight this week for their Summer School, helped in celebrating the life of the recently deceased Gladys Hooper whose funeral was held last Friday . A big thank you to all who have worked hard over the last three days to honour the passing of this amazing lady. whose Funeral took place here on Friday last. As many of you know, the Ringing World National Youth Contest was at the beginning of last month. Over 24 teams took part in the competition that was based in London. The main tower for the day was St Mary-Le- Bow, which had a lovely ring of twelve as well as lots of pastries and cakes! Our competition piece was rung at St James Garlickhythe where the Royal Jubilee where hung, which were also really lovely bells to ring. The piece itself was good but we didn’t get through to the final. However, this was not necessarily a bad thing as it meant we could ring in more towers! There were towers open all over London including, St Martin-in- the-fields (Trafalgar Square), Magnus-the Martyr (Lower Thames Street), Christs Church (Spitalfeild) and St Botolph without (Bishopsgate). It was really good to be able to ring in London, especially as the Bells where so nice to ring and the views from the tower windows were impressive as well! For Whom the Bell Tolled – 113 Times! There are days in one’s life when you feel you are participating in history – today, for me, has been one of those rare days. This morning (Friday, 29th July) at All Saints’ Church, Ryde, took place the funeral of 113-year-old Gladys Hooper. A more fitting end to a long and well-lived life I have rarely seen. The eight bells, half-muffled, commenced their majestic ringing at 11am as press and television gathered in the West end of the church. At 11.20 each bell was stood in turn until only the tenor bell rang its sombre message across Ryde. At 11.30 the Royal Air Force-draped coffin entered the full church to enable family, friends and those who just knew Ryde resident Gladys, the oldest living person in the United Kingdom since January 2015, to say their final farewell. As the funeral cortege prepared to leave after the Service, conducted by Reverend Canon Graham Morris, the 26.5cwt tenor bell called out this passing of 113 years to acknowledge this lady from the Edwardian era – another time, unimaginable to almost all of us. Following this the full peal of bells rang out as the cortege and the congregation departed. This evening, as a mark of respect, a quarter peal of Single Oxford Bob Triples was attempted. However, after two failed attempts it was felt we abandon the effort and try on another occasion. Notice will be given when the team are able to go ahead with this. I should personally like to express my thanks to the following, who played their full part in making this Service the occasion it demanded: Jo Davis (1); Caroline May (2); Ken May (3); Jill Taylor (4); Roy Tillcock (5); Adrian Burns (6); Peter Taylor (7). Yours truly, as Tower Captain, tolled the tenor. Is this length of a passing bell the longest ever rung by a member of a home tower I wonder? It was certainly momentous for me, as to this point in my 50 years of ringing, I think 92 was the longest for any funeral service I have had the privilege to toll the passing bell. To admit as 108 was struck I experienced some nervousness at being able to stand the bell after the 113th is probably stating the obvious! However, all went as it should and I congratulate all ringers on a job well done. I feel sure Gladys would have been amused at all the attention this received and All Saints’ ringers offer their condolences to the family in the hope that hearing our bells gave them some comfort for what must have been a difficult day with so much media attention at what is usually a quiet family event. RIP. QUIZ EVENING Thursday, 24th March – Just booked – to raise money for Young Ringers’ Competition trip (2nd April 2016)…The Eight Bells, Carisbrooke ..More details of this event, other fund-raisers and the Young Ringers’ Contest trips to follow! So, ringing has a long heritage. It has survived centuries of social upheaval, with modern ringing more advanced than our predecessors might have dreamt. But ringing also faces major challenges for the future. What lessons can we learn from our history to help us face the future? If you haven’t seen the lively and healthy discussions in recent Ringing Worlds and Michael Foulds’ thoughtful and well written article (1st January) – “Change Ringing in the future – coping with the legacy of Belfry Reform” – it all makes interesting reading! Please ensure that all ringers are aware of, and get involved in, this discussion. The Ringing World: Survey – Have Your Say.. The Board of The Ringing World Ltd thinks it essential to have a full, informed consultation with as many ringers as possible, subscribers and non-subscribers, over several possible ways to a sustainable future for the business by means of a survey. There is an on-line version and a paper version. The on-line version is accessible at: Ringing World Survey. 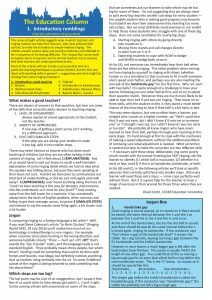 The paper version can be downloaded here. You are welcome to use whichever version you find most convenient; we would prefer you to use the on-line version if you can as this makes assessment of the results and detailed analysis much easier for us. 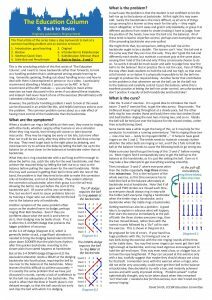 If you are a subscriber to the paper version and you respond on line, please pass on your paper version and reply envelope to a non-subscribing ringer. If you have difficulties in filling in the survey, please email survey@ringingworld.co.uk .We have a small staff and need to minimise the number of questions they have to deal with by phone. 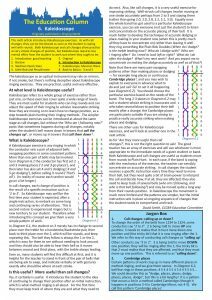 It has not been possible, in the interests of keeping the cost of the paper version down, to have much space for the few free text answers. You may enclose an extra sheet with any further comments or email the above survey address. We also alerting ringers to the survey by means of a couple of chatlists and Facebook. We have sent out information about the survey to associations and societies, courtesy of the Central Council’s distribution facilities. 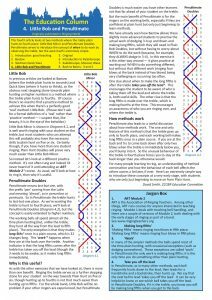 Copies of the survey can be printed off from BellBoard and will also be available from the Ringing World office; preferably request via the survey email address. It is a comprehensive survey so the option is given for answering only certain key questions, though we hope that most responders will answer them all. Please encourage as many ringers as possible to respond. In particular could those who receive copies for a tower encourage your band to make individual responses. 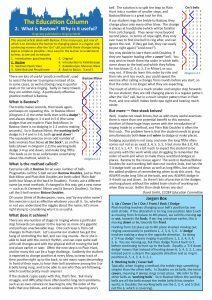 For those who are not familiar with The Ringing World or need a reminder, we have provided a free PDF version of a recent edition which you can access here.